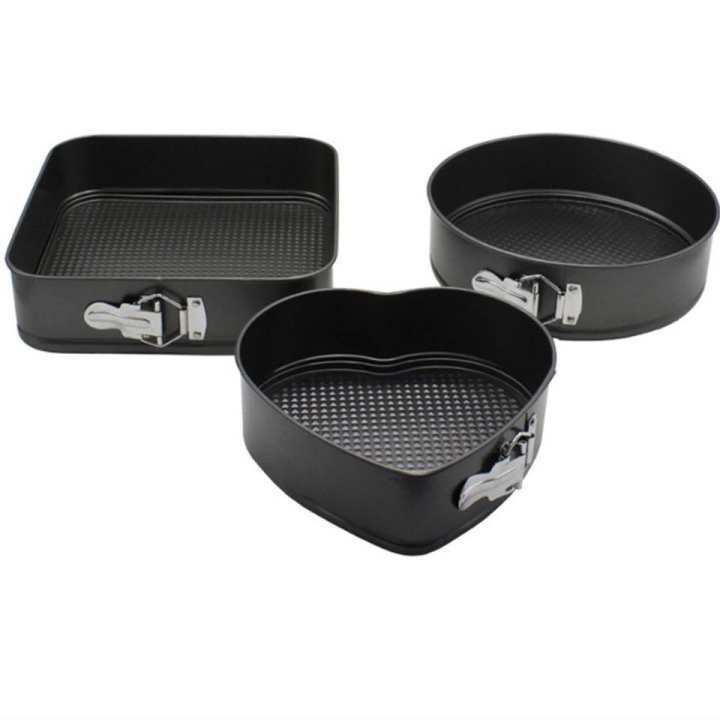 3 Pcs Non Stick Cake Mould (Shaped) is a type of bakeware that features sides that can be removed from the base. Springform refers to the construction style of this pan. The base and the sides are separate pieces that are held together when the base is aligned with a groove that rings the bottom of the walls. The pan is then secured by a latch on the exterior of the wall. This tightens the ‘belt’ that becomes the walls of the pan and secures the base into the groove at the base of the walls. Good product. delivered on time..
mistakenly mge athin 3 times order confirm una.. eth eka set ekai neda ewanne.. prashnyk wenne naane..
is this good quality nonstic pan?